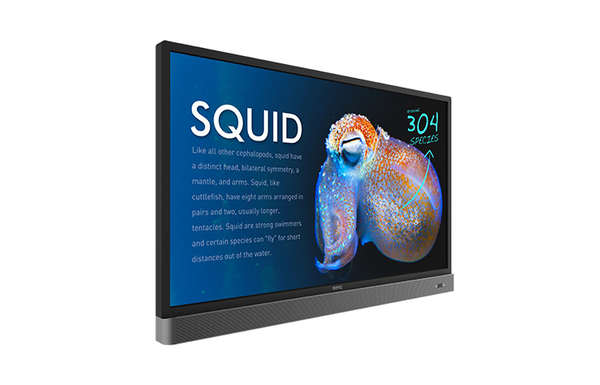 The RP553K is designed to tap into the dynamic possibilities of the classroom and help teachers build a healthy and engaging learning environment. Not only does the RP553K come with the Eye-Care solution, but it is also installed with proficient annotation tools for enhanced class participation. 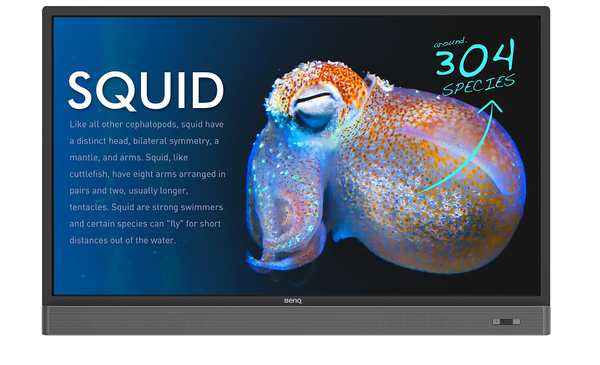 RP553K is your ultimate interactive display to achieve a touch-enhanced, smooth and fun learning experience. Screen glare can cause reflected images on the screen, making it challenging for students to see, take notes, and remain focused. 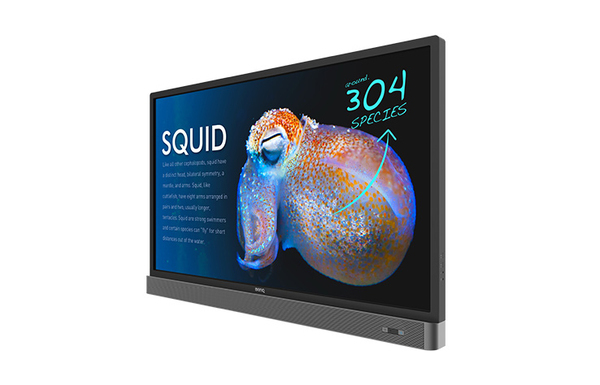 The RP553K’s anti-glare glass surface can effectively reduce reflections, freeing students from excessive squinting with more legible text and clearer images, avoiding eye strain and facilitating more effective instruction. The RP553K’s handwriting recognition feature allows presenters to simultaneously convert written text, numbers, forms, and drawings into legible materials without having to switch modes while effectively facilitating smooth teaching flow. RP553K integrates the repositioned audio speakers with the screen-length pen tray. The two front-facing, 20W speakers create better sound transmission and bring more audiovisual enjoyment to interactive learning. The pen tray offers a handy place to keep IFP stylus and other tools that help enrich and smoothen presentations, providing fast access and avoiding needless interruption. Freeze to pause the screen so teachers can capture certain segments from videos or highlight on the screen (through the remote control or hotkey). RP553K can save you from the hassles of complicated setup. Simply connect to a PC via USB and you’re all set to deliver compelling IFP touch-enhanced lessons. RP553K offers multiple ports, including 6 USB ports, OPS port, HDMI 2.0 and an HDMI out for enhanced performance and screen extension. Additionally, the repositioned side IO ports make plugging cables more convenient while avoiding any visual distraction. RP553K incorporates several recommended Android apps into BenQ Suggest, which further expand the IFPs' potential by simplifying app updates and downloading in the future.